I recently saw a few movies that made me think about how it’s possible to tell great stories with images, or how significantly images can enhance a story. 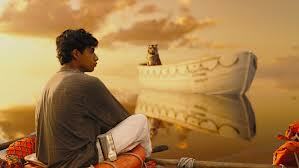 Last night I saw Life of Pi. And the movie did the same, if maybe in a more heavy handed way. This movie is an interesting one for this topic because, while I think a big part of the appeal of the movie was the images, I also think images were a big part of the appeal of the book. The writer was able to describe things in such a way that we saw them as a reader… I must go back and take another look. It’s been nearly a decade since I read the book. 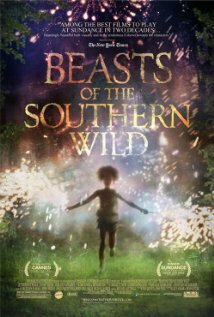 The other two I want to mention are probably a little harder to find: Beasts of the Southern Wild and Samsara. Beasts of the Southern Wild I actually saw months ago and meant to talk about it then. If you can find this one somewhere, I highly recommend it, and also highly recommend seeing it on a big screen if you can. It’s the story of a little girl named Hushpuppy living in a swamp called the Bathtub. I’m not 100% sure, but I got the impression it’s an area that was purposefully left partially flooded and unprotected after Hurricane Katrina. The government tried to move everyone out of the area, but some people refused to move. And still refuse to even when another storm approaches and floods them again. But it’s not really about that. It’s about this very little girl (5 or 6?) who’s almost living on her own. Her dad is around, but he makes her live in her own dwelling and barely takes care of her and he’s not doing too well and often she needs to take care of him. The girl has been learning about prehistoric animals and imagines danger in the form of these great mastodon-sized pigs. And that image/idea comes to a head near the end of the film in an inventive way and shows the great bravery of our young heroine. Great movie. Try to find it. And Samsara. This one is purely visual. I’m not sure if there is a word spoken during this movie. It’s a series of spectacular images set to music and it’s mesmerizing. Wow. Hard to describe. Try to find it in a good movie theatre. And Go. This trailer intrigued me enough to want to go, but it doesn’t do the film justice.